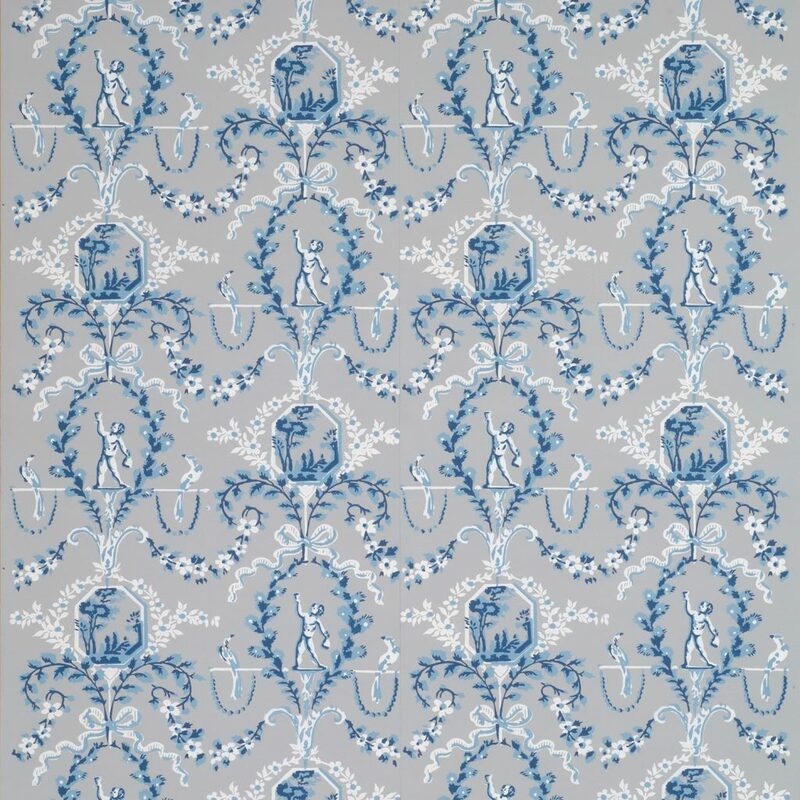 This Early American pattern was probably printed in Boston or the Northeast coastal area sometime after French wallpapers had come into style in the United States. Its arabesque arrangement, neo-classical imagery and use of ribbons and peacocks are all characteristic of French papers from the mid 1780s to 1790. The somewhat naive execution leaves little doubt that it is American, rather than a French import. It is likely one of the many patterns advertised by Boston printers as being in the “latest French Style”. Like many samples in Adelphi’s collection, this one was found lining an early hide-covered document box, so there no specific room reference. 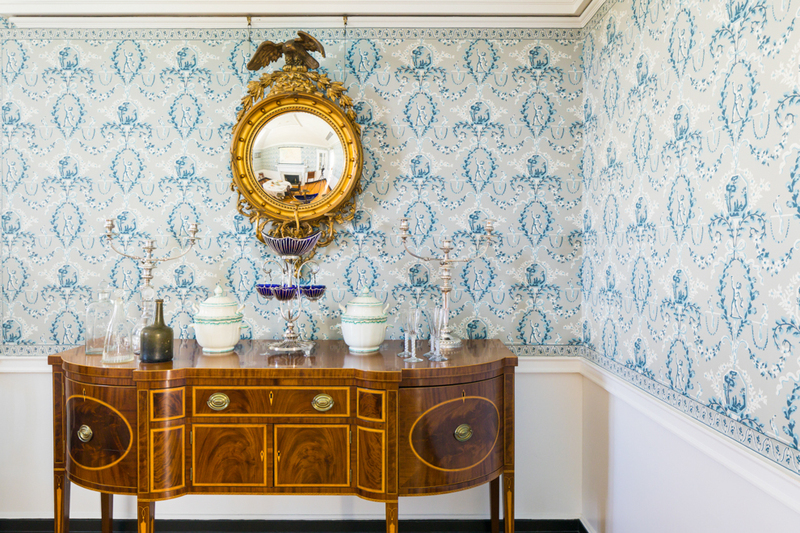 However, such a versatile pattern would likely have been found in a passage, a major chamber such as dining room, parlor or perhaps an important bedchamber. Typically this type of pattern would have been hung with either a very narrow (1 to 1 1/2 inch) border or a combination of a festoon frieze around the ceiling plus a narrow border trimming doors and windows. Imperial Measurements: Repeat 20 ¼ inches, width 21 ½ inches, length 11 yards, straight match. Metric Measurements: 51.4 cm, 54.6 cm, 10 m.